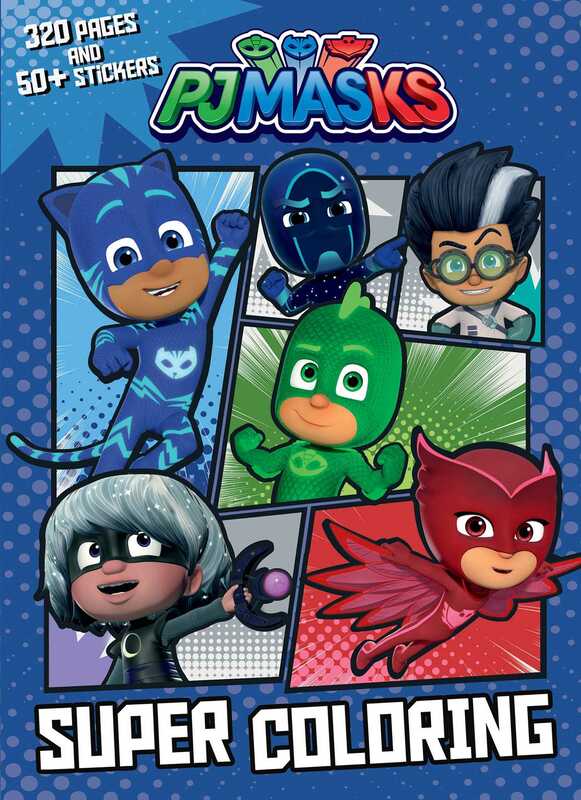 Join the PJ Masks team for more than 320 pages of coloring, stickering, and activity fun! The PJ Masks Super Coloring Book is a super-charged coloring and activity book featuring everyone’s favorite nighttime heroes! The 320 pages are packed with pages to color, word searches, mazes, matching games, and much more. The latest characters and themes are featured along with the already beloved heroes and their fiendish foes. Two sheets of stickers are included for added fun!